The UCLA Joint Replacement Center provides comprehensive evaluation and treatment for patients with permanent and progressive damage to knees, hips, or shoulders as a result of osteoarthritis, rheumatoid arthritis, trauma, or other joint disorders. The UCLA Joint Replacement Center is recognized as a leader in total joint arthroplasty by the nation's orthopaedic community. UCLA orthopaedic surgeons have managed patients with joint disorders since 1969 when the first hip arthroplasty was performed at UCLA. The first total knee arthroplasty followed in 1977. Blue Distinction is a designation awarded by Blue Cross and Blue Shield of North Carolina (BCBSNC) and other Blue Cross and Blue Shield companies to medical facilities that have demonstrated expertise in delivering quality health care. The designation is based on rigorous, evidence-based selection criteria established in collaboration with expert physicians and medical organizations. The goals are to raise the quality of care delivered nationwide and to help consumers find specialty care at facilities proven to have delivered better overall outcomes. Patients seen at the Joint Replacement Center are evaluated by a board certified orthopaedic surgeon with specific fellowship training in joint replacement surgery. The initial assessment involves a review of medical records and history, complete musculoskeletal physical exam and acquisition and review of appropriate radiological studies (X-rays, CT scans, and MRIs). Patient-tailored treatment recommendations are based on findings and diagnosis in conjunction with age, activity level, and medical history. Treatment recommendations vary from conservative non-surgical measures to surgical intervention. Options are discussed with the patient as part of education and counseling by UCLA Joint Replacement Service surgeons. Non-surgical treatment includes anti-inflammatory medications, joint injections, physical therapy, and/or an individually designed home exercise program. UCLA Joint Replacement Service surgeons are experts in the spectrum of joint replacement procedures for the hip and knee. Surgical treatment often involves a total joint reconstruction/joint arthroplasty. 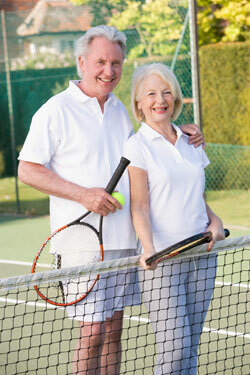 For the knee this may involve unicompartmental knee replacement or total knee replacement. A small subset of patients may be candidates for a bone realignment procedure called an osteotomy. 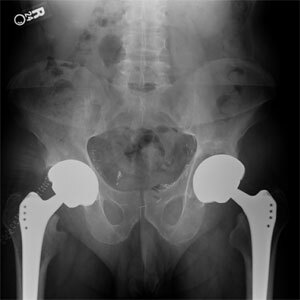 For the hip, treatment may involve a bone-conserving surface replacement procedure or a total hip replacement. Again, a small subset of patients may be candidates for osteotomy procedures. In addition to an extensive experience with primary joint replacement procedures, the UCLA Joint Replacement Service is among the regional leaders in complex joint replacement procedures and revision procedures of failed or failing implants. UCLA Joint Replacement Service surgeons perform the majority of their surgical procedures at Santa Monica-UCLA Medical Center and Orthopaedic Hospital. Our skilled and experienced anesthesia staff utilize the latest advances in post-operative pain control. A dedicated nursing and physical therapy team facilitate faster recovery and restoration of joint motion and function allowing a return to a healthy and active lifestyle. Patients who have failed conservative treatment or who need immediate surgery, and those requiring further evaluation of a diagnosed problem are candidates for referral to the UCLA Joint Replacement Center. Note: Designation as Blue Distinction Centers means that these facilities' overall experience and aggregate data met objective criteria established in collaboration with expert clinicians' and leading professional organizations’ recommendations. Individual outcomes may vary. To find out which services are covered under your policy at these or any other facilities, please call your local Blue Cross and/or Blue Shield Plan.